Mercedes-Benz E-Class Cabriolet Boot Space, Size, Seats | What Car? 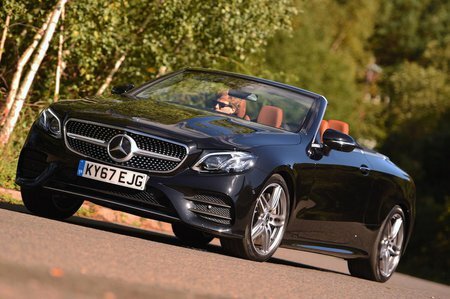 Impressively, the E-Class Cabriolet offers the same amount of head room for rear passengers as the Coupe version on which it is based. The trouble is, leg room is reduced, as is the size of the seat base itself, meaning while you can fit adults in the back, you’ll only be able to do so for a short time before they start complaining. Space is much better up front, mind you, with plenty of room for the driver and passenger in every direction, even with the roof up. 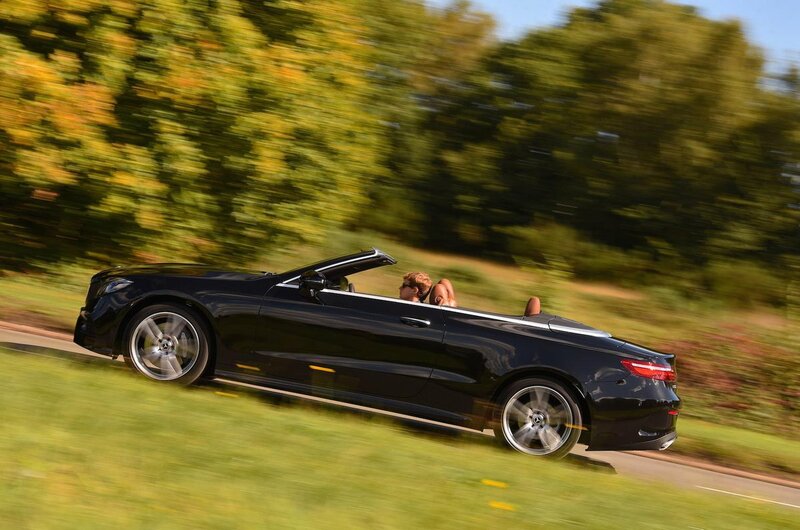 However, while the boot capacity on offer doesn’t sound bad – 310 litres with the roof down, 385 with it raised – the space itself is wide and flat, meaning certain bits of luggage will fit easily, but others won’t. You can fold the rear seats forward in a 50:50 split, however, which is very handy. 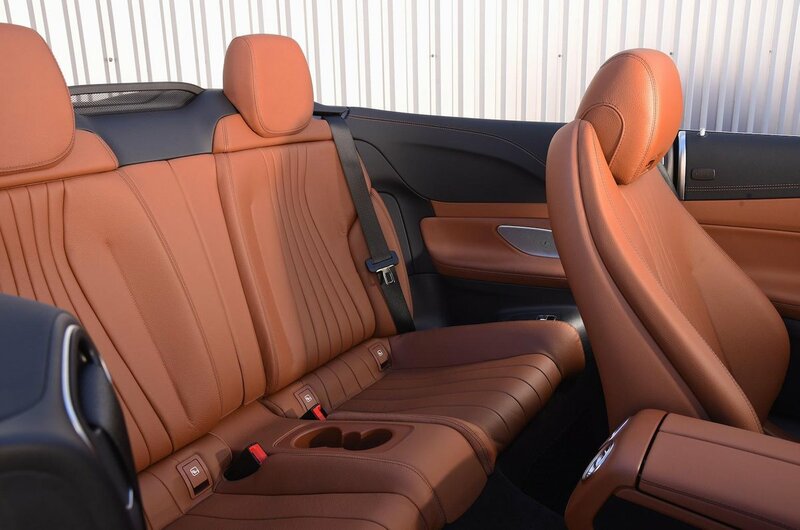 You’ll find plenty of room to store odds and ends in the E-Class Cabriolet, with a vast bin in the centre of the car between the two seats, and another lidded compartment directly ahead. The door bins and glovebox are equally capacious. In the back, there’s a pair of cupholders located between the two rear seats, which is probably enough given that those seats will only ever be occasional at best.